Are your kids all sweet toothed out? KIDS LOVE CANDY!! They love sweets! They love SUGAR!! 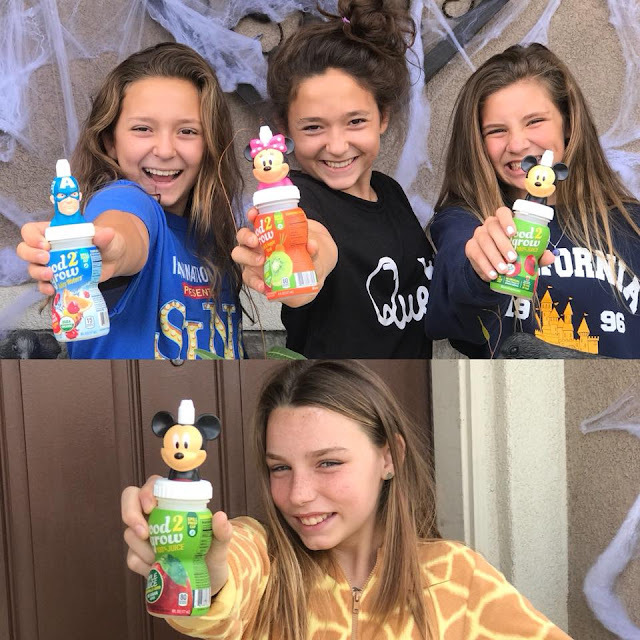 So after the rush of Halloween and the literal BAGS of candy that has piled into your house...how do you ease the sweet tooth with a little bit of sweetness that's better for them than all that candy? Is there any easy way to ease it? Good2Grow, which we've enjoyed in the past, sent us a few of their bottles to feature, as an alternative to the sugar rush the candy will bring in the next few weeks. In fact, maybe your kids will swap you some of their candy (that can be donated or thrown away) for a few bottles of Good2Grow juices instead? 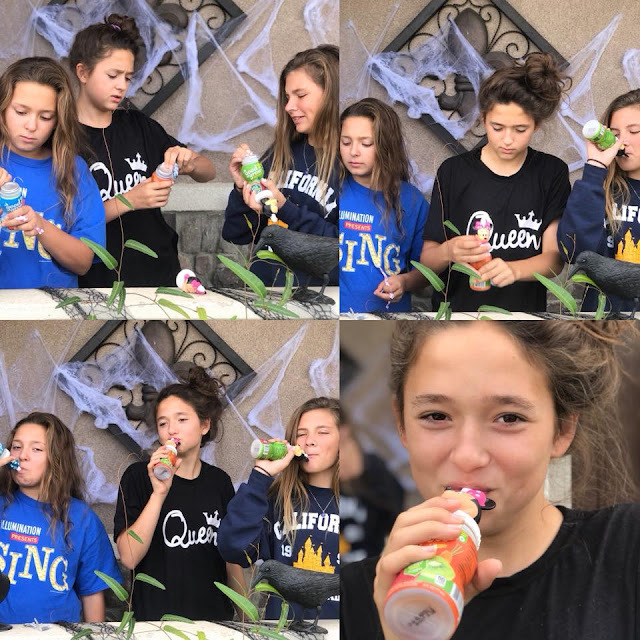 We had a few "extra kiddos" at our house after trick-or-treating last night, which meant we got to share our Good2Grow juices with FRIENDS. None of them seemed to mind....clearly! In fact, they couldn't wait to try them, share them and they really enjoyed them. It was smiles all around!! Good2Grow Drinks have no sugar added, no artificial flavors, colors or perservatives. 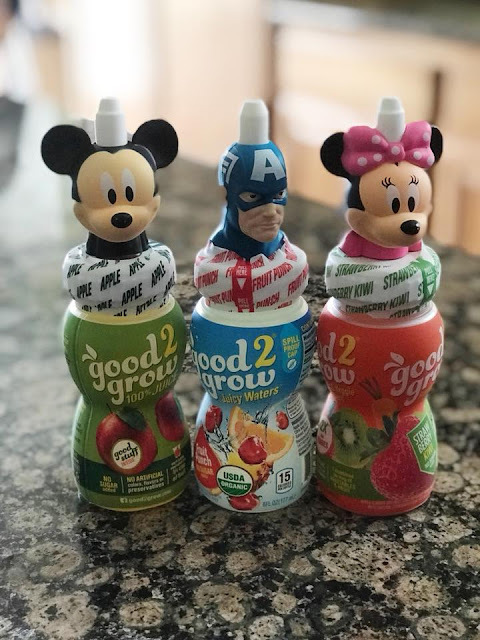 Plus, they come with the most adorable character drink toppers on each bottle, which they are constantly adding new ones to their selection. They are virtually spill proof bottles and just down right adorable!! 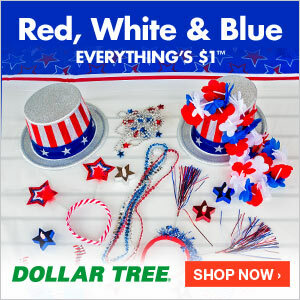 CLICK HERE to learn more about Good2Grow products for yourself.